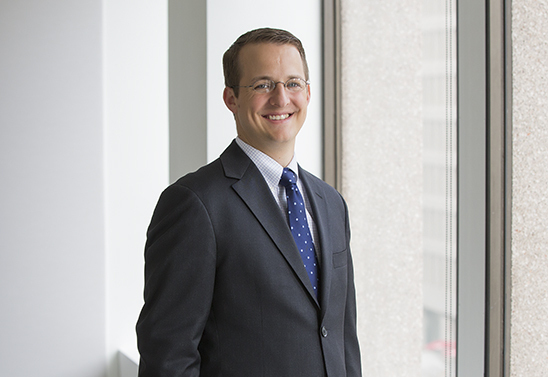 HR professionals, in-house counsel, and tax advisors rely on Spencer for his guidance and judgment on day-to-day benefits and compensation questions and for his ability to find creative solutions to complex tax and ERISA issues. Spencer's practice covers all aspects of employee benefits and executive compensation law, including the development and maintenance of qualified and nonqualified plans; plan compliance with the Code, ERISA, and Affordable Care Act; the treatment of employee benefits plans in connection with corporate mergers and acquisitions; and executive employment agreements and compensation arrangements, including Code section 409A. Spencer enjoys working with in-house counsel, tax and payroll personnel, and human resources professionals to attend to day-to-day administrative challenges and respond to new challenges. Manage implementation of pension de-risking initiatives and savings plan re-designs, including drafting plan documents and formal plan amendments, disclosures, and participant communications. Lead benefits, employment, and executive compensation attorney for dozens of mergers and acquisitions involving public and private companies, from start-ups to multinationals. Design and draft employment retention agreements and bonus plan including non-compete agreements to retain talent in connection with client’s acquisition of technology start-up. Redesign equity award plan and redraft award agreements to ensure compliance with Code section 409A and securities laws, and to incorporate best practices. Manage DOL audit of health plan’s compliance with the Affordable Care Act. Investigate compliance concern with retirement plan distributions, develop strategy for correction, and obtain IRS approval of proposal through EPCRS. Correct operational and documentation errors under EPCRS, DFVCP, VFCP, and 409A corrections guidance.